PURCELLVILLE, VIRGINIA-- LHP Alex London did not let his 5.00 ERA impact him when the Front Royal Cardinals came to town on Sunday night at Fireman's Field. The Tuscaloosa, Alabama native turned in arguably the best outing by a Cannons' starter this season, yielding just one hit and three walks over seven shutout innings in Purcellville's 1-0 defeat of the Cardinals. The win over Front Royal on Sunday improved Purcellville to 7-6 at Fireman's Field this season and was their first shutout victory since a 4-0 defeat of the Waynesboro Generals on July 9th of last season. A 1-out single by Zac Wiley was the lone hit surrendered by London in his longest outing of the season. The left-hander was pulled after issuing a leadoff walk in the 8th to Cardinals' catcher Martin Napleton, but reliever Will Reed came on to record the final six outs for his second save of the season while London evened his record at 1-1. Raul Cabrera's 2-out RBI single in the bottom of the sixth inning supplied the only run needed for the Cannons on the night, scoring Onassis Matos to give Purcellville the 1-0 advantage they would later win by. Cabrera and center fielder Andrew Zban combined for four of the 5 Cannons' hits in the win. Andrew Honiotes performed well in his second start of the season, allowing one earned run over 5 2/3 innings, but the lack of run support led to his second consecutive loss. The Cannons (9-17) have now won 4 of their last six games and despite being 8 games below .500, they have now posted an even 8-8 record against their divisional opponents. With their second victory of the season over Front Royal and New Market's extra-inning loss to WInchester on Sunday, the Cannons are now tied with the Rebels for the fourth and final playoff spot in the VBL North. After a 2-day break from action, the Cannons will return to Fireman's Field to take on Staunton (9-12). 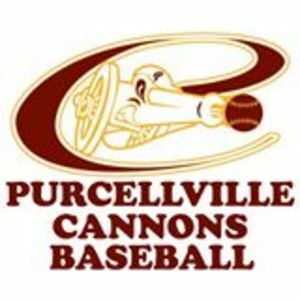 Purcellville is 0-2 this season against the Braves and have been outscored, 18-9.